None of us is surprised to reaffirm that the Hollywood awards season never brings very good news for racial or gender justice. At the Golden Globes we saw people of color consistently overlooked, Jared Leto celebrated for playing a trans woman (who apparently can’t be real), and the worship of a child molester, Woody Allen. But the Oscar nominations are out, and things are getting worse. 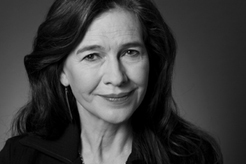 One of our favorite blogs, Native Appropriations, run by one of our favorite people, Adrienne Keene, has an important take-down of two nominations. 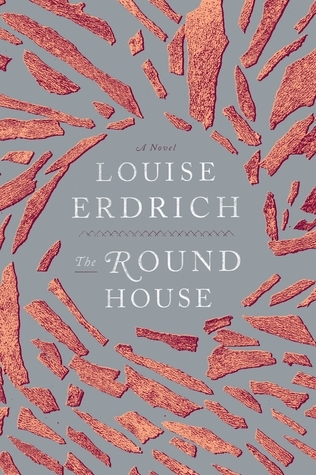 Erdrich’s book, The Round House, is about violence against American Indian women, and about one young man who confronts that violence when it finds its way into his home. Through her Yayasan Bumi Sehat health clinics, “Mother Robin,” or “Ibu Robin” as she is called by the locals, offers free prenatal care, birthing services and medical aid in Indonesia, where many families cannot afford care. It’s great to see a midwife receive such mainstream recognition and support for her work. The Primetime Emmys aired last night, and it was another big win for white dudes (and not just because of the appearance of every feminist’s favorite person, Charlie Sheen). Out of 25 categories presented last night white guys won all the individual awards that weren’t in lady-only categories (they swept writer/director awards but failed to capture Best Supporting Actress). Awards like those for the best Comedy and Drama are given out to writing or producing teams, and a few women managed to make it on stage there. However, all the winning teams had men billed first, and on teams of 10-15ish people there were typically about 2 women. Thank you to the Sidney Hillman Foundation! Last night, Vanessa, Miriam, Lori, Jos, Chloe and myself had the honor of attending the award ceremony for the Sidney Hillman Foundation prizes for journalism. Thanks to Jessica, who submitted our work, Feministing was put on their radar and presented with the award for Blog Journalism. I think I speak for all of us when I say that being awarded amongst such company with such a prestigious jury was a surreal and gratifying experience for all of us. GLAAD media awards honor one of our own! On Sunday, Chris Colfer, who plays Kurt on “Glee” won the Golden Globe for Best Supporting Actor in a series, miniseries or television film. “Glee” certainly has its flaws, but Colfer’s Kurt is one of its brightest spots.